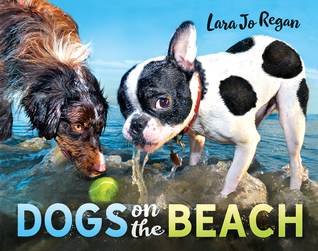 Lara Jo Regan is a photographer, author, book producer, and animal lover whose diverse career spans the magazine, fine art, film and journalistic worlds. She honed her skills as a regular contributor to the world's leading publications such as Time, Newsweek, Entertainment Weekly and Life, winning many of the field's top honors including numerous American Photography and Communication Arts accolades, NPPA Pictures of the Year awards and the coveted World Press Photo of the Year. Her sideline as one of the worlds most respected and popular dog photographers began when a photo series she created of her rescued pup, Mr. Winkle, made Internet history, transforming her pet into the first four-legged viral cyberspace celebrity who attracted record crowds at book signings. Regans interest in animal photography has since deepened and expanded, generating many projects as an author and editor. To date she has authored six monographs of dog photography published by Random House, W.W. Norton, All Things Winkle LLC and Myth and Matter Media. Regan has been a featured guest of the Today Show numerous times, and her titles have been prominently featured in many other major media outlets such as People, Time, USA Today, The New York Times, The Los Angles Times, Animal Planet, ABC News and the BBC. Her photography is widely exhibited and collected.